Eating real food that nourishes the body is important to us. And when we learned that there was a newly installed chef—Amy Lawton—at Murray’s in Tivoli, Dutchess County, we were thrilled. We’ve often found that women in restaurant kitchens take a more nourishing, balanced and lighter approach to their food. Of course, there are always exceptions to the rule—Paula Deen comes to mind. But, try watching Food Network’s “Chopped!” sometime (my guilty pleasure during a treadmill six-miler). See for yourself how the dishes prepared by the female chef contestants are judged (more accurately, criticized) by a panel of mostly male chefs. The women chefs are often rebuked—before being eliminated from the next round—for using too little salt, not adding enough fat (or fatty meat), or placing too much emphasis on vegetables or raw greens. Go figure. From a tiny kitchen, Lawton conjures up her unique brand of seasonal comfort food that’s imaginative and delicious. The menu changes weekly. 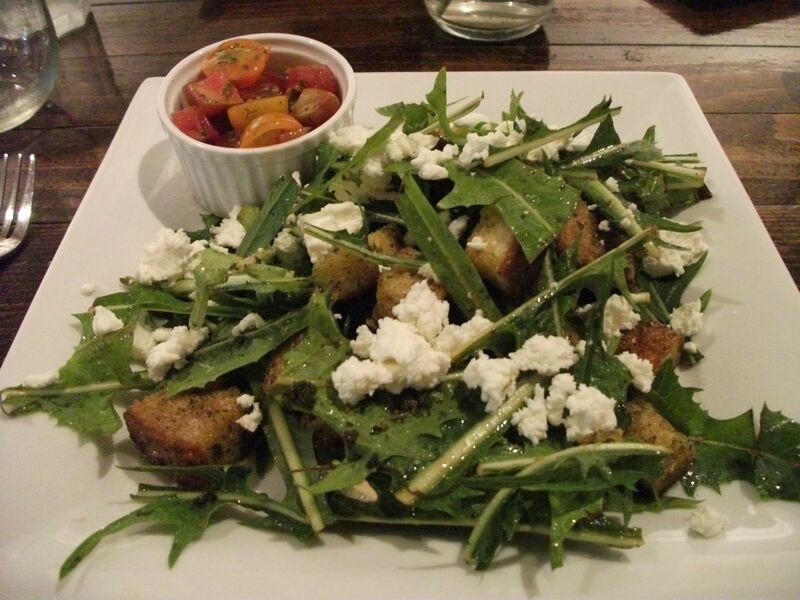 Her plates are artfully composed, with seasonal vegetables a main highlight (not a garnish or meager afterthought). Portions are generous. Lawton strives for food that not only looks visually vibrant, but tastes alive: “Cooking with fresh, local ingredients means not screwing something up that was already perfect when it was plucked from the earth.” For Lawton, the simplest flavors are the most delicious when coaxed from an abundance of fresh vegetables, small amounts of quality meats and cheeses, and grains. What has most influenced Lawton’s style of cooking? A mother who couldn’t cook—“I spent years hungry!” she confesses. Local farmers. And, the seasons, which dictate her menu. “When something is at its perfect point of ripeness, I want to feed to people!” she says. My “veggie burger”, for example, was no Boca Burger! Mine was a mid-summer garden bounty of parsley root, carrot, summer squash, zucchini, purple top turnips, sweet potatoes, red potatoes, garlic, shallot, onions and bound with a little egg and cornmeal. The patty, warmed on a grill with good olive oil, and topped with a local egg, resides between two slabs of toasted quinoa multigrain. 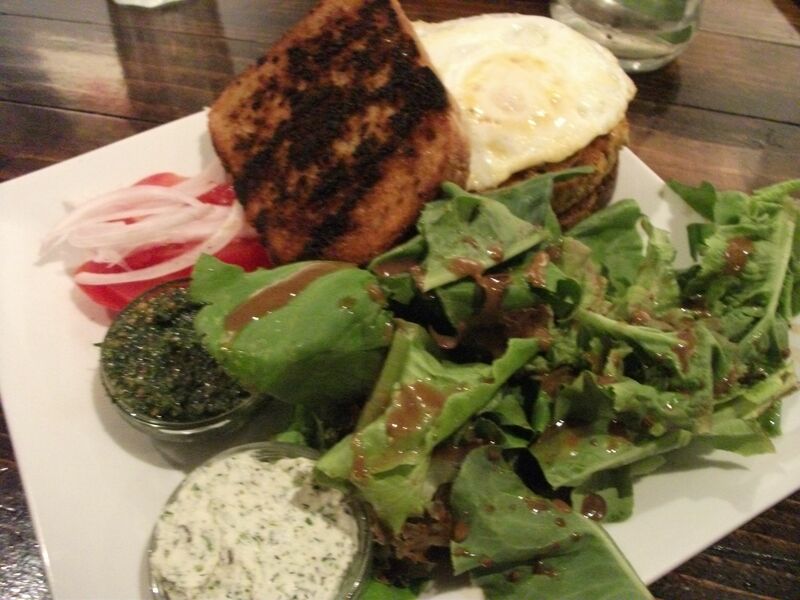 My burger arrived with a parsley-almond pesto and a lovely salad of tender Bibb lettuce. 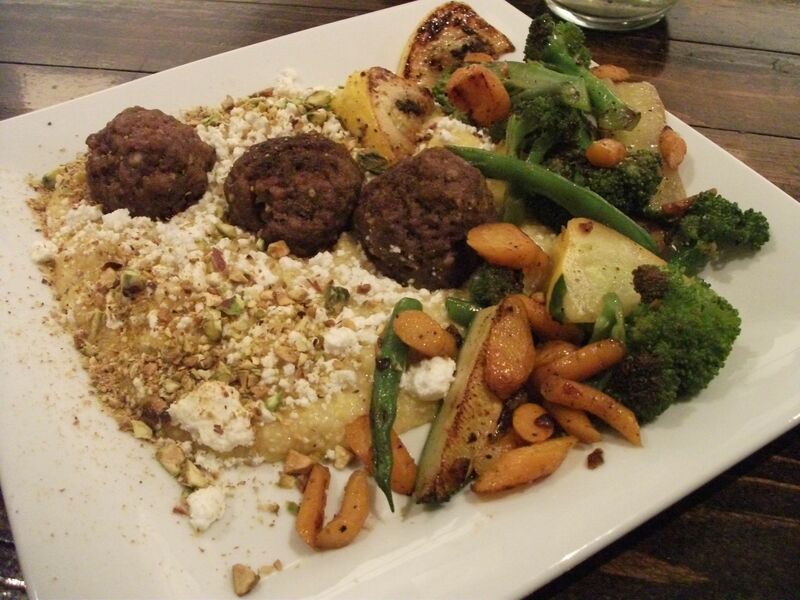 Christopher’s cinnamon-spiked local lamb meatballs in a bed of creamy polenta garnished with roasted pistachios was served with a generous medley of roasted vegetables. Savory and satisfying. Lawton’s food is thoughtful and clean. How she cooks now is based on many of her own less-than-stellar dining experiences. 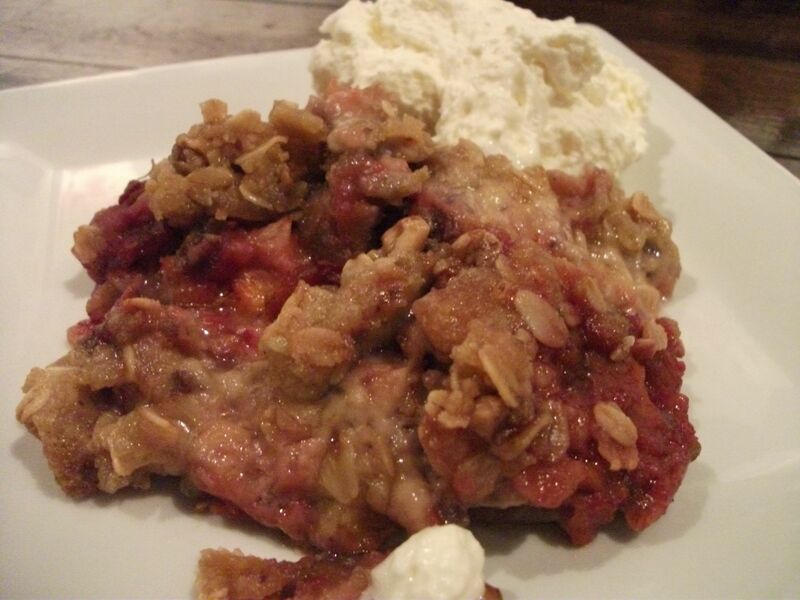 “A lot of restaurant meals have left me feeling uncomfortable—not well—by the time I get home. 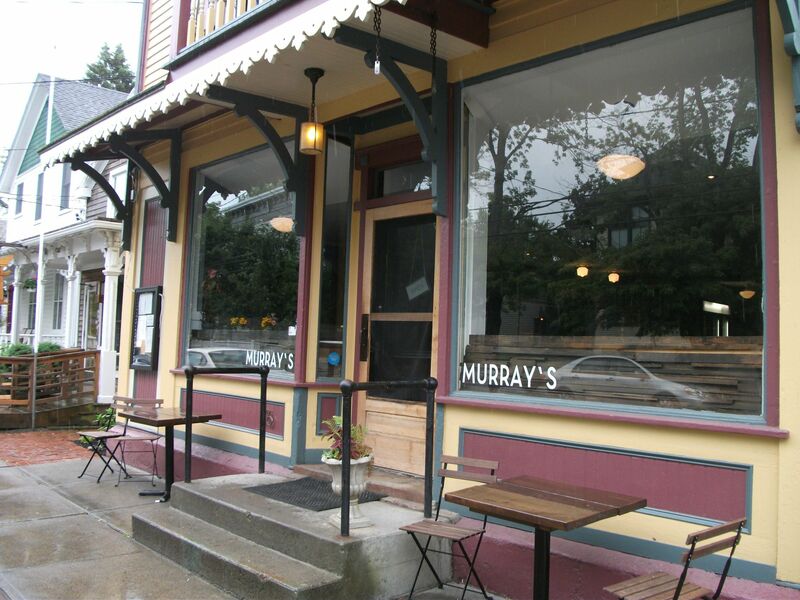 My main goal is that when people come to Murray’s, they feel good afterwards,” she says. In our book, she has more than succeeded. My full review of Murray’s in The Observer here. This entry was posted in Food, Health, Hudson Valley, Hudson Valley Farms, Local Food, Restaurants, Travel, Wellness and tagged Amy Lawton, Food Network Chopped, Hudson Valley local, locavore chef, Tivoli restaurants, Wild Hive. Bookmark the permalink.